Springbok lock Pieter-Steph du Toit was announced as the South Africa Rugby Player of the Year at an awards ceremony at the Gallagher Conference Centre in Johannesburg on Monday night. The 24-year-old DHL Stormers player becomes the second lock to win in two years, following in Springbok team-mate Lood de Jager’s footsteps. Ironically, it was an injury to De Jager that gave Du Toit an opportunity to come into the Springbok side during the season. 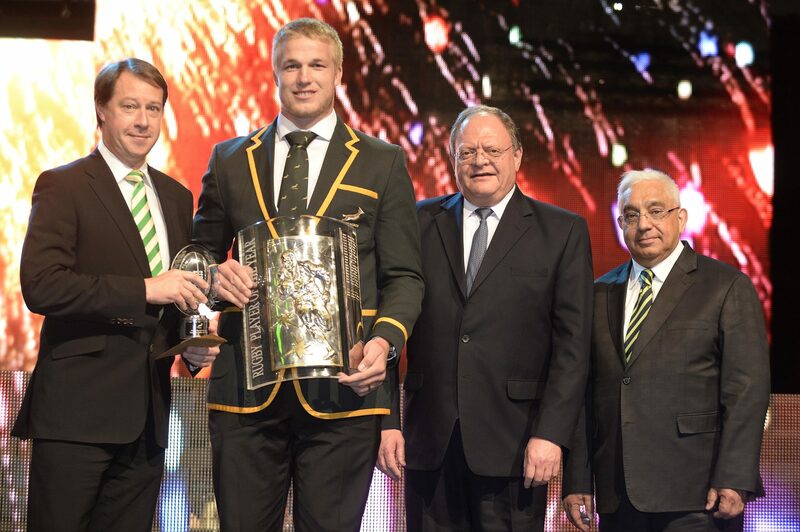 Du Toit secured the top award ahead of the other four nominees in the category, which included his middle row partner Eben Etzebeth, and the Emirates Lions trio of Ruan Combrinck, Jaco Kriel and Warren Whiteley. Many believed that one of the Lions players would have won the award, but while they were superb in Super Rugby and in the Currie Cup, at Springbok level they were not always given a chance to feature prominently, while injuries also kept some of them out for long stints during the year. While Du Toit has been plagued by injury in recent years, 2016 saw him remain in top form without suffering any serious physical problems. This has allowed him to produce consistently, undoubtedly leading to prestigious award. In a year when the Springboks have struggled and the Stormers have not been particularly successful, Du Toit has been consistently good. He scored an important try in the home series against the Irish, while his contributions for the Springboks have been stellar at a time when many players were disappointing. 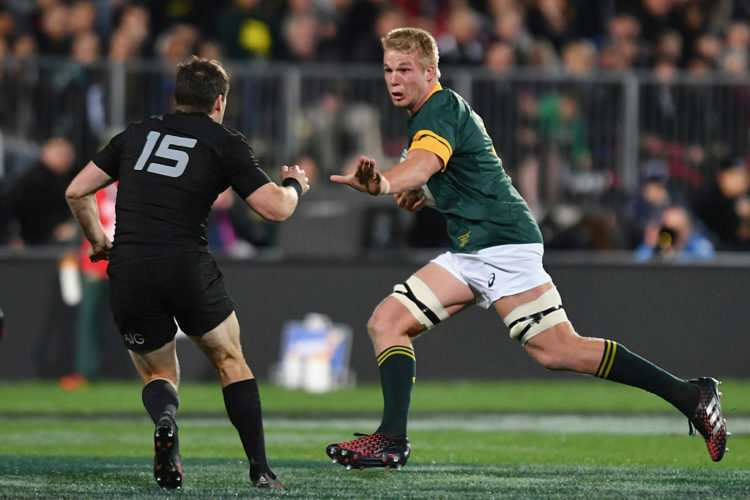 The deserved winner is part of the Springbok squad that will travel to Europe for next month’s end of year tour with planned tests against England, Italy and Wales, and this award will certainly boost his confidence ahead of the challenging away matches to come.